ALL OUR PRODUCTS ARE MANUFACTURE TO THE HIGHEST "WATERMARKED" AUSTRALIAN STANDARD. We will dispatch your items within 1 business day after payment has been received and cleared. We accept PayPal, credit cards (Visa/MasterCard), debit cards, direct deposit or pay on pick up(cash or EFTPOS). Please include your name and invoice number as reference and email us the remittance if you pay by Direct Deposit. For international buyers, we only accept payment through PayPal. Inhouse Hardware is a well-established door hardware company for more than 10 years in the industry with well-known quality products at competitive price. Please feel free to contact us if you need further information. Thank You. All items must be returned in its original purchase condition and packaging. We offer full refund if the item received is not as described. 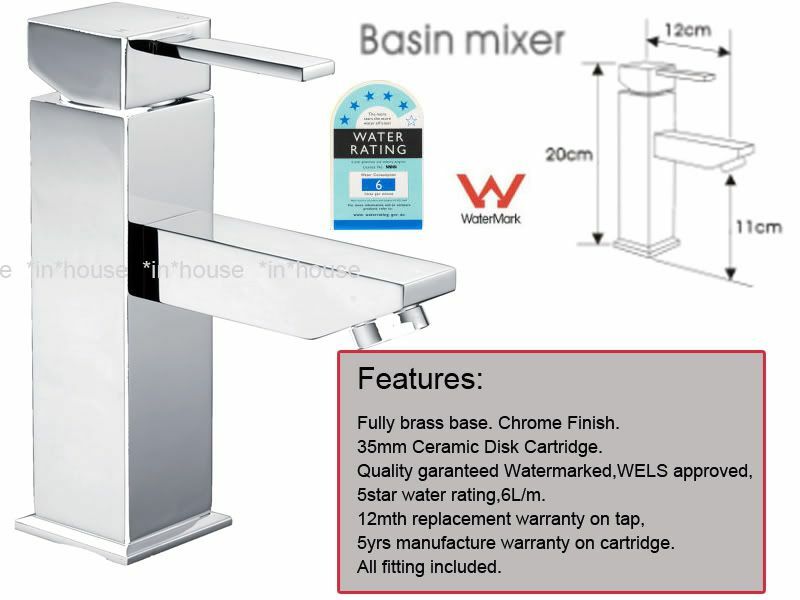 Welcome to InHouse-Hardware online store which is based in Melbourne, Australia and established to direct to public with a	huge variety of bathroom products and architecture hardwares. Including Bathroom Accessories, Tapware, Shower sets, Sinks, Entrance Handles, Door furniture,	Hinges, Joinery, and General Hardware and more. © COPYRIGHT 2017 - IN HOUSE.. ALL RIGHTS RESERVED. © Copyright 2017 - inhouse-hardware.. All Rights Reserved.